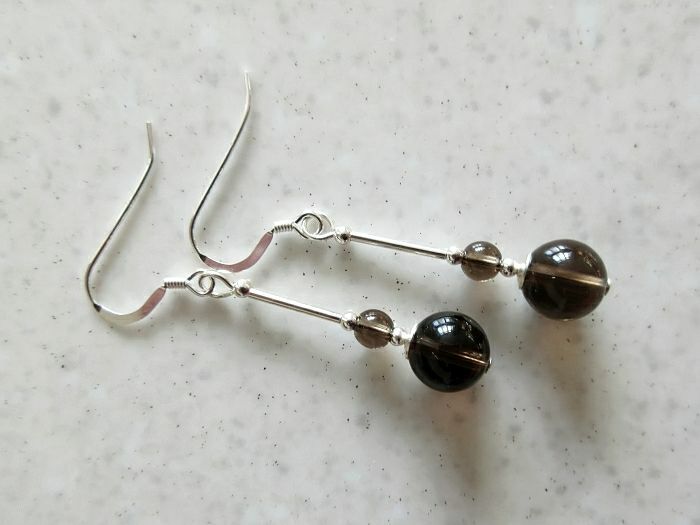 Elegant, handmade brown beaded Smokey Quartz ladies drop earrings. 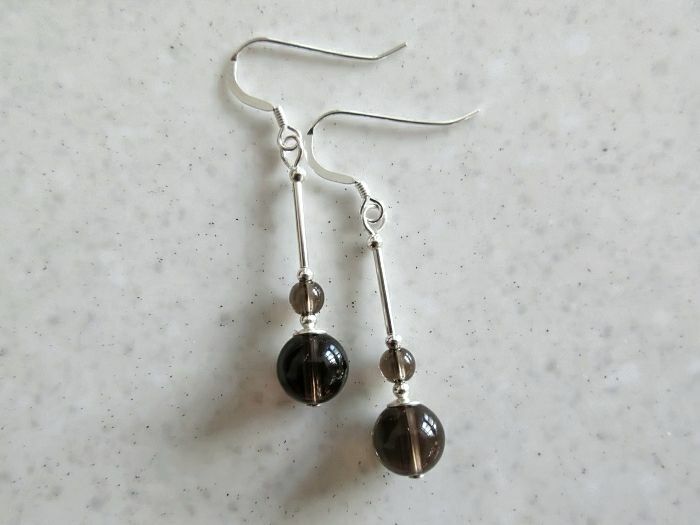 There is a larger 8mm Smokey Quartz at the bottom of each earring with a matching smaller 4mm bead sitting just above. 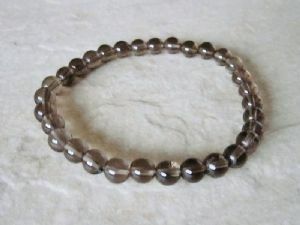 Completing this design are Sterling Silver bead caps, small round seamless beads & tubes. 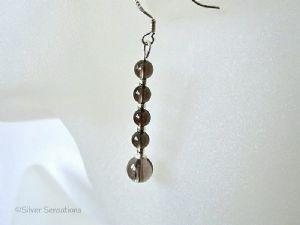 Hanging from strong Sterling Silver headpins & high quality ear wires, these pretty earrings have a drop of 35mm so are an easy length to wear during the day & evening. 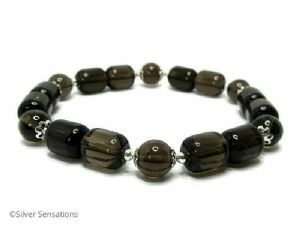 Smokey Quartz is a slightly transparent brown which gives it a unique look. 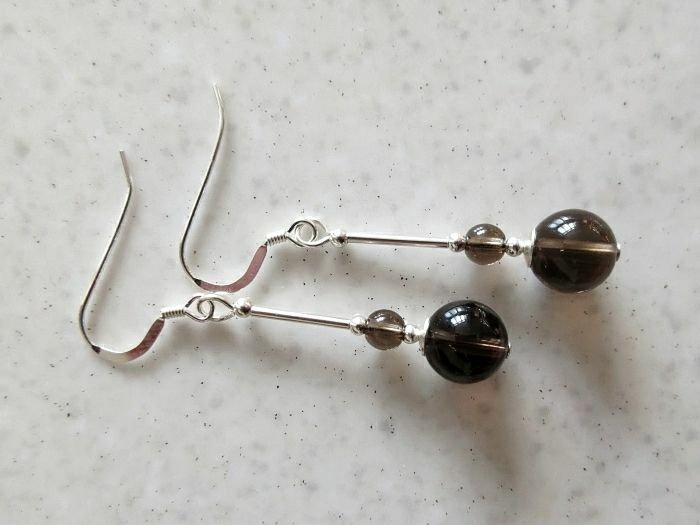 I buy all of my guaranteed genuine .925 Sterling Silver from reputable UK Silversmiths so I can be sure that I'm using on the highest quality materials for your piece of handmade jewellery. 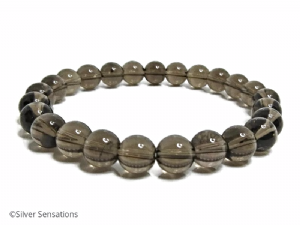 "I love how dark these stones. 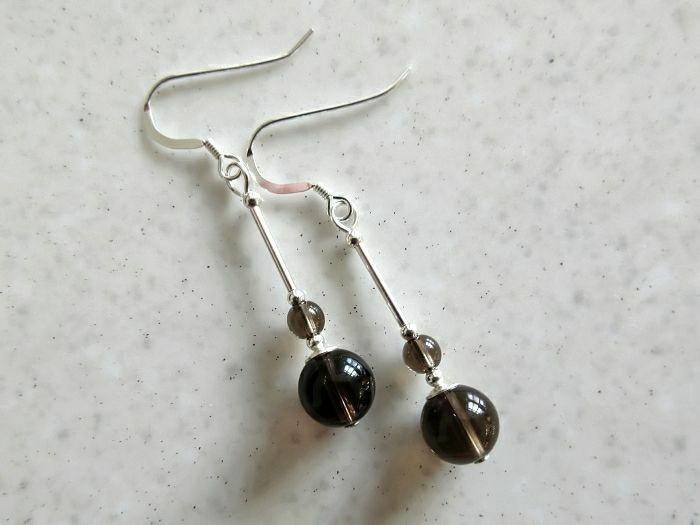 I've only seen lighter one so am really please with these."